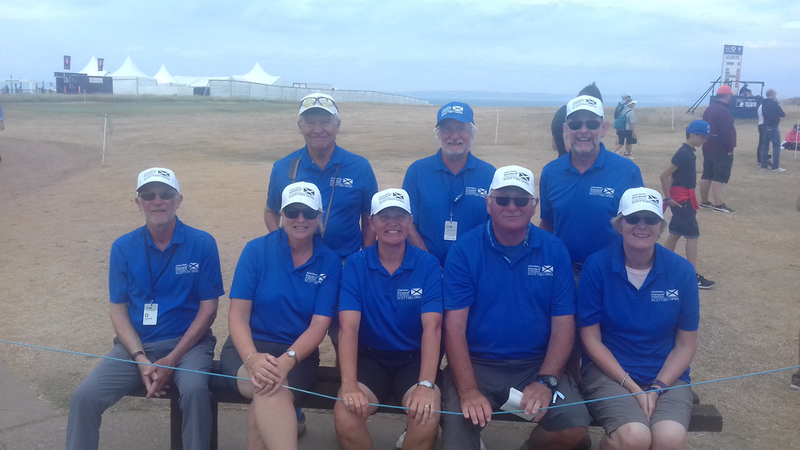 Willing volunteers from the Glen formed two teams (shifts) to assist at the 9th hole during the Pro-Am Day and for the duration of the recent Scottish Open at Gullane. Fortunately, both players and our teams were able to enjoy good weather for most of their time on the course. Although the corporate rain jackets were tested by wind and rain, the majority of the shifts were spent in corporate blue. "We witnessed some great golf, some light hearted moments and handled the crowds really well" said Captain, Jim Sear. "Thanks to all who helped out at the event".